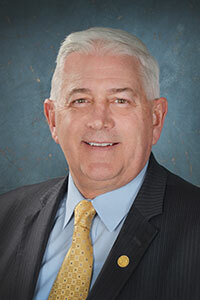 LANSING, Mich. — State Sen. Ken Horn on Thursday supported legislation to officially petition Congress to call a constitutional convention for a federal balanced budget amendment (BBA). Senate Bill 306 enters Michigan into an interstate compact to petition Congress to take the necessary steps toward passing a BBA to the U.S. Constitution. Once 38 states — three-fourths of the state legislatures — join the compact, they will then petition Congress to refer the BBA vote to the states for ratification by a three-fourths vote under Article V of the U.S. Constitution. Legislation has already passed in four states and is pending in three more. SB 306 is now before the Michigan House of Representatives for consideration.